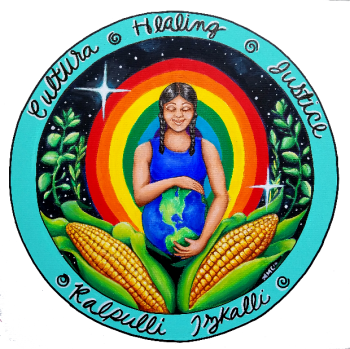 Kalpulli lzkalli (House of Light Community) is a community of families working together to create an intergenerational action and resource center to promote, preserve, and protect cultural and traditional practices. We are dedicated to community healing through these practices which include agriculture, medicine and traditional healing, and ceremony, as well as the use of art, music, dance, writing and individual creativity to enhance personal, family, community and general human development. We are committed to “social change” that advocates and supports sustainable development that will protect Mother Earth and foster her renewal and healing.